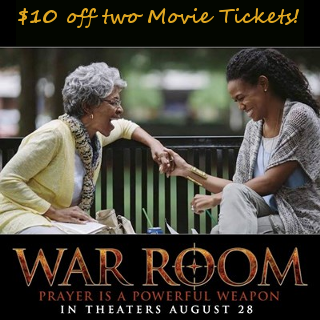 Have you guys seen War Room yet? It’s a must-see! Kevin and I loved it! Whatever your movie plans, you can save $10 off two tickets by checking out with Visa Checkout and using code VCOSAVE10SEPT. If you’ve used that code previously, it will not work for you. Offer ends Sunday, 9/13. Expired: Bath & Body Works Freebie!